Thousands of do-it-yourself products, including legal forms, online documents, books and ebooks, and software. Generate a customized estate planning form like a will, a living trust, or a power of attorney in just minutes. Get all the most common business forms you'll need to operate your business, or create an LLC yourself. Our products are in plain English, created and updated by attorneys and legal editors. 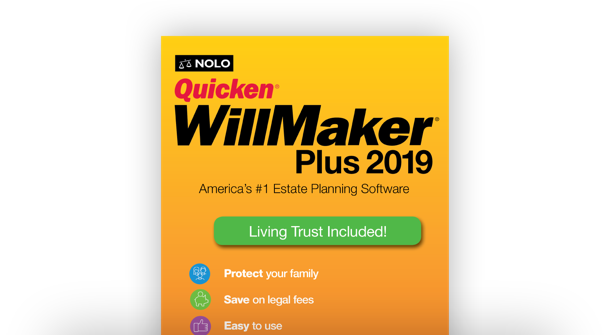 The leader in estate planning software, written and updated regularly by Nolo's attorneys and legal editors. Written in plain English to help with your everyday legal needs. Create as many business and personal forms as you need with NoloCloud. Easy-to-use estate planning software to protect your family. We match over 50,000 people with lawyers every month. Brieﬂy tell us about your case and provide your contact information. We ﬁnd and instantly list attorneys who can best handle your case. Choose the attorney you would like to work with. Nolo has an extensive library of legal articles—all for free. The law can be hard to find, complex, and intimidating. We strive to make it accessible to everyone—to help people find answers to their everyday legal and business questions. Essential information about everyday legal problems. Detailed legal material in easy-to-understand terms. Content created by attorneys and legal editors.